Every backbench MP can apply to the Backbench Business Committee to secure time for a debate on an issue of our choice. I used this opportunity to apply for a debate on retail crime and its impact on retail staff and shop owners. Working with the National Federation of Retail Newsagents, the British Retail Consortium, the Association of Convenience Stores and Usdaw – the trade union that represents shopworkers – I have been trying to get the law changed. We need tougher laws on those who abuse and harm retail staff and if we are granted this debate it will give us another chance to hold the UK Government to account. This is an issue that crosses party lines. Our application was supported by both Labour and Conservative backbench MPs and I hope that this demonstrates to the Backbench Business Committee that this is a serious issue that deserves a debate. 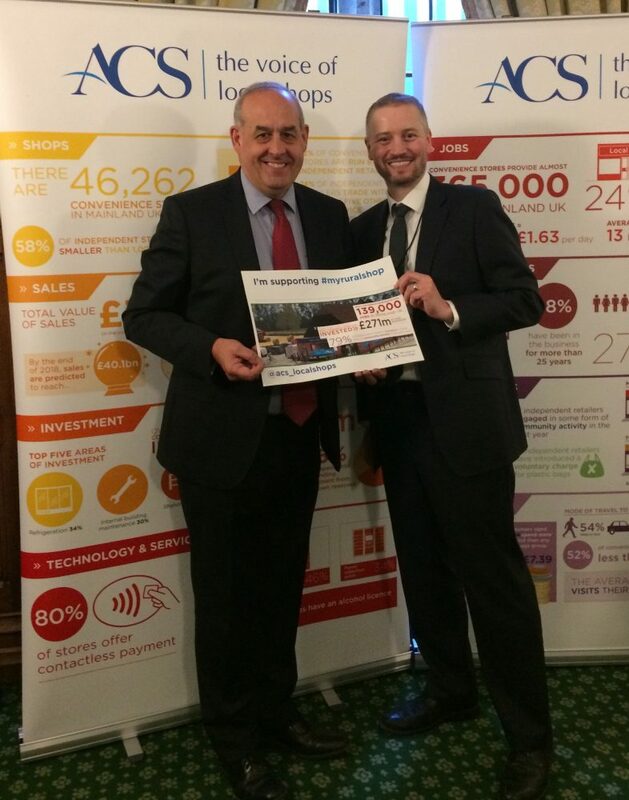 I joined the Association of Convenience Stores (ACS) – the trade body that represents small and independent retailers – in Parliament today (27 February 2019) to pledge my support to local shops in rural communities. I have been working closely with Usdaw – the trade union that represents shopworkers – and the Co-Op to ensure that we strengthen the law against those who commit violence against shopworkers. Shoplifting has increased, attacks on shopworkers has risen and the Government need to sort this out. I have applied on four separate occasions for a debate and I will keep doing so. I asked the Leader of the House of Commons if she would give government time for this debate so we can do right for the hundreds of thousands of people who work in retail and keep them safe. I welcome the moves by the Home Office Minister, Victoria Atkins MP, to undertake a review of attacks on shopworkers.